Education doesn't get talked about the way it should. Bloggers and news media sensationalize it. Politicians use it as campaign fuel. Insta teachers stream cute pics of classroom decor and coffee mugs. But that's not close to what education is all about. Worse, it can distract us from the complexities of the way children, parents, teachers, and communities experience learning in America. 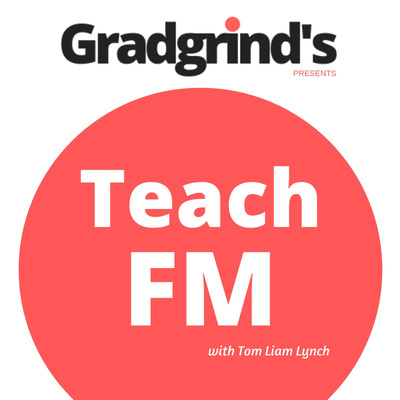 On Teach FM, education professor Tom Liam Lynch offers unfiltered insight on all things teaching, learning, and education. In this episode, Tom examines what the recent college admissions scandal reveals about equity and education more broadly in the United States. From Opt-Out to school choice, the education system is one where parents with means are expected from day one to do whatever it takes to ensure a quality education for their child. And that’s a problem. Want more? Check these hundreds of artifacts over on Gradgrind’s. And, if you’re looking for the texts from this episode, you’ll find them here: James Baldwin on Public Education // A Primer on Brown v. Board of Education // Malcolm Gladwell on Why Carlos Can’t Remember // A Researcher Uses Crazy Data Set to Explain the Achievement Gap Still reading? Cool. Share the podcast with friends and tell Tom what you think. He's all ears. 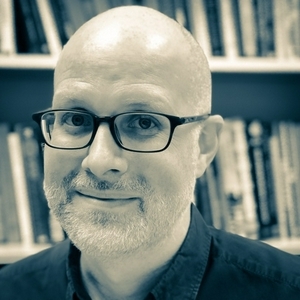 In this episode, Tom offers his take on the challenge of high-stakes testing. At its core, Tom suggests that high-stakes testing in its current form brings to light a core tension in American public education, two competing values: exceptionalism and equity. Unless that tension gets addressed, the result will be a lot of continued heartache. Want more? Check these hundreds of artifacts over on Gradgrind’s. And, if you’re looking for the texts from this episode, you’ll find them here: Linda Darling Hammond on Testing // An Atlanta Judge Sentences Teachers for Cheating on Tests // Why Comparing International Tests are Trickier Than You Think Still reading? Cool. Share the podcast with friends and tell Tom what you think. He's all ears. In this episode, Tom offers a brief overview of how No Child Left Behind and Race to the Top dramatically altered the direction of public education reform in the United States. They are not as different as you think. Want more? Check these hundreds of artifacts over on Gradgrind’s. And, if you’re looking for the texts from this episode, you’ll find them here: President Bush Frames No Child Left Behind // President Obama Frames Race to the Top Still reading? Cool. Share the podcast with friends and tell Tom what you think. He's all ears. In this episode, Tom looks at how U.S. presidents have talked about education. From the 18th century to today, Tom breaks down the main kinds of stances presidents take and offers his insights on why education is so often paired with economic success. Presidents Kennedy and Reagan offer perfect cases in point. Want more? Check these hundreds of artifacts over on Gradgrind’s. And, if you’re looking for the texts from this episode, you’ll find them here: Washington // Adams // FDR // JFK // Reagan // Trump Still reading? Cool. Share the podcast with friends and tell Tom what you think. He's all ears. Join Tom as he walks from the subway to a school in the Bronx where he's working with teachers on their assessments. No music intro, no studio. Just raw audio and insight. He talks about the difference between assessment and testing, and why if you hate grading stacks of assignments you probably have to revamp your planing process. Check out these resources that complement the Interlude: One Piece of Advice for Any Teacher, Anywhere // Not Sure What to Think About This Philosopher's Rubric // Pharrell Takes Authentic Assessment to a Whole Different Level // Howard Gardner on the Limits of Assessment ----- Check Out More Over on Gradgrind's! In this episode, Tom explores what it really means for schools to be “stuck in the 19th century,” as conventional wisdom often suggests. The problem is not necessarily that desks are in rows. And the solution is not necessarily to use new technologies. Want more? Check these out over on Gradgrind’s: // A Cartoonish Look at Education in the 19th Century Still reading? Cool. Share the podcast with friends and tell Tom what you think. He's all ears. In this episode, Tom shares what he calls the single most important fact about public education that most people don’t know and if they did, it would change the way they approach educational problems and solutions. Want more? Check these out over on Gradgrind’s: // States of Education // The Story of American Education Documentary // On the Absence of Education from the US Constitution Still reading? Cool. Share the podcast with friends and tell Tom what you think. He's all ears. In this episode, Tom breaks down a clip from Harry Potter and the Order of the Phoenix in which Harry gives lip to one of his teachers: Dolores Umbridge. It says a great deal about the role of standards, curriculum, testing, and the challenges of real-world learning. Want more? Check these how education as portrayed in: Plato’s Republic // Dickens' Hard Times // Dangerous Minds // Harry Potter And plenty more over at Gradgrind’s. Episode 2: Why and how does New York State evaluate the quality of public education? In this episode, Tom puts the brakes on teachers’ desires to impact the life of that “one student” and suggests a strangely sensible 12% rule for statewide accountability schemas. Want more? Check these out over on Gradgrind’s: // States of Education // Governor Cuomo on Education Reform // Commissioner John King on Common Core Still reading? Cool. Share the podcast with friends and tell Tom what you think. He's all ears. Episode 1: What the Heck Just Happened With New York Schools? On January 17th 2019, stated education officials changed the way the evaluate public schools. It isn't what they are saying that has people talking. It's what they aren't saying. Listen to Tom break down what appears to be going on, give a little context, and then offer free advice to state officials on how to move forward. Want more? Check these out: // The Curious Case of New York State Accountability Changes // Howard Gardner on the Limits of Assessments // And more over on Gradgrind's Still reading? Cool. Share the podcast with friends and tell Tom what you think. He's all ears.